Bittersweet. That is the word Rick Rowland, head coach of the California Baptist University swim and dive team, used when discussing the class of 2018 swimmers and divers. 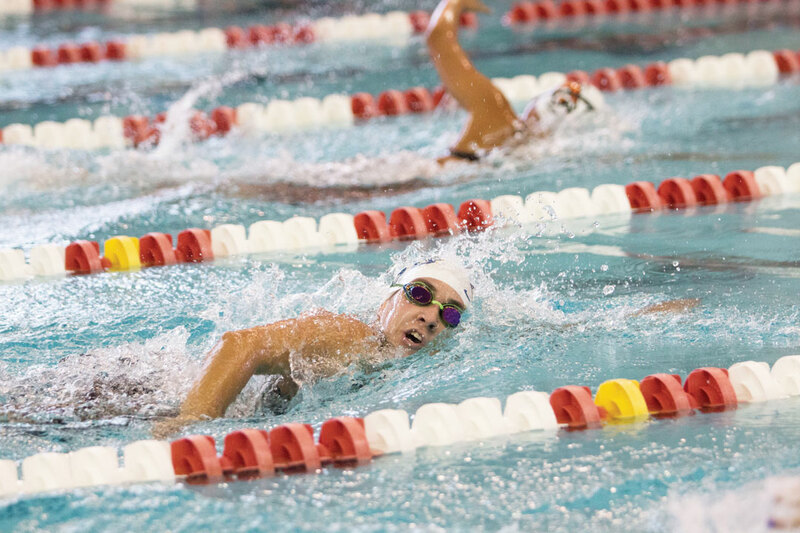 Christie Halverson, senior nursing major, said she is excited for the underclassmen to compete in the Western Athletic Conference next year, but added she was thankful to swim four years in the Rocky Mountain Athletic Conference. Alexis Ohmar, senior piano performance major, said she has been impressed by the younger athletes and said the team looks prepared for the coming years. Rowland, Ohmar and Halverson all said the current seniors have helped lay the foundation for success that will serve the team even after they graduate. With the postseason approaching, both the Lancer swim and dive teams will have an opportunity to leave a lasting impact on the conference and the division. Rowland also said collegiate swimming can help prepare these senior athletes for life after college. 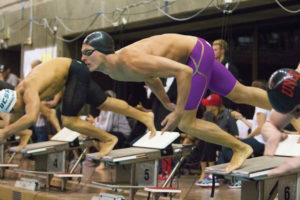 “If you can manage time training, swimming and diving, you can keep a strong GPA, and you can have a social life, you can pretty much do anything in life,” Rowland said. When this senior class has graduated, Rowland said the memory of one specific moment from the 2015-2016 season will stick with him. That year, the men’s and women’s swim and dive teams both won RMAC championships for the first time since the Lancers joined the conference. The Lancer men trailed the entire event until Ohmar touched the wall in the last leg of the final event, giving the Lancers a victory in that event and a conference title by the slim margin of one point. The senior Lancers will have one last chance to recreate that moment at this year’s RMAC Swimming and Diving Championships that started Feb. 14.